Sophia obtained her degree in AB Philosophy from the Ateneo de Manila University in 2009. 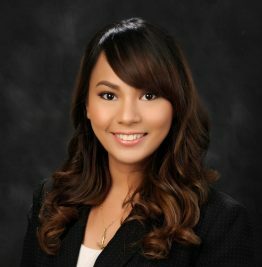 She graduated from the Ateneo de Manila University School of Law in 2013 where she ranked third in her class and obtained a silver medal for academic excellence. She joined C&G Law in 2013. Sophia handles tax, labor, and commercial litigation. She has extensively represented clients in the energy, mining, and manufacturing industries, and appeared before local government tribunals, trial courts, and quasi-judicial agencies for civil and administrative cases. Sophia has experience in advising and assisting clients in Philippine tax laws, rules and regulations involving the dispute and settlement of questionable or unconscionable tax assessments. She has represented independent power producers, a multi-national manufacturing plant, an international pharmaceutical company, and a mass transportation provider before various local government tribunals, trial courts, and quasi-judicial agencies. Sophia has also rendered advice and legal opinions on Philippine labor laws and handled employment-related claims, as well as appeared before the National Labor Relations Commission for a multinational mining firm, world-renown consumer goods company, and innovative technologies and solutions conglomerate. She has represented clients in the business sector including a producer of renewable energy components, a food and beverage company, and a consumer goods firm, and dealt with complex commercial transactions involving letters of credit, purchasing agreements, and violation of banking laws. She has participated in mediation proceedings before the Bangko Sentral ng Pilipinas. In addition, she acts as the Assistant Corporate Secretary for a Business Process Outsourcing (“BPO”) company and its subsidiary, maintains its stock and transfer book, drafts and reviews minutes of board meetings, convenes the board of directors to conduct business, and ensures compliance with the regulatory requirements of the Philippine Securities and Exchange Commission. She assisted in the due diligence work for the merger and acquisition of a local manufacturing firm and facilitated the large-scale asset transfer between a mining and an energy corporation. She has provided consultancy services for BPO companies and a manufacturing firm and reviewed commercial documents and agreements. Public Policy in Arbitrability: The Disallowance of Public Policy as a Ground for Refusing Arbitration (2012), Juris Doctor thesis, Ateneo de Manila University School of Law.